Whether you're looking for a used car parts or used truck parts, you've come to the right place. PartsHotlines is the Internet's only LIVE search for used auto parts. Within seconds you can check the used car part inventories of over 1,000 of the top auto salvage yards in the country. 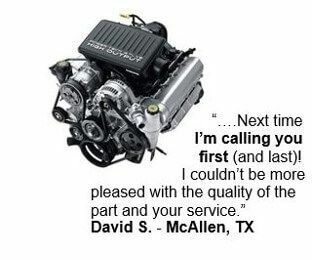 You'll receive results that are fast and accurate. It's that easy. Here's how you can get started finding the used truck parts and auto parts you need. Using the next drop down menu, choose the "Make" of the car or truck you are seeking used auto parts for. Using the next drop down menu, choose the "Model" of the car or truck you are seeking used auto parts for. Now select the "Number of Used Parts" you wish to locate. PartsHotlines helps you find up to 10 car parts or used truck parts. Next choose the used "Part" or parts from the list that you wish to find. You'll next need to enter your "Zip Code". This lets PartsHotlines show you the used auto parts closest to you. If there is more than one type of used car part which could match your selection(s), PartsHotlines will display a box listing the different options. 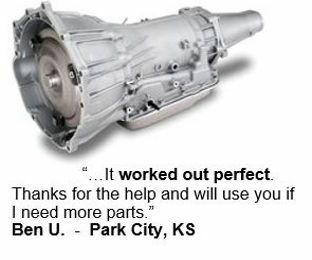 You'll want to select the car parts or truck parts you need. Click on the "Find!" button. That's it. PartsHotlines will now search LIVE the inventory of hundreds of premier auto salvage yards on our network. Within 10 seconds the used car parts or used truck parts you are seeking will be displayed on your screen, with the auto salvage yard closest to you listed first. If the part or parts you're looking for were just added to the inventory of a salvage yard seconds ago, you will see them!!! If you are a repair shop or garage looking for 4 or 5 parts, these will be grouped by salvage yard. You can see at a glance which salvage yard has all the parts you need. You can re-sort your used auto parts results by any of the categories (Year, Description, Price, etc.) listed at the top of the columns. Simply double click on your choice and the used car parts and the information will be resorted on that category. Since PartsHotlines is LIVE, that means you're getting real information about available used car parts - not data which may have been collected days or weeks ago. You'll notice at the top of your screen a counter showing "New LIVE matches on your parts" The number indicates the count of additional used car parts which PartsHotlines has found for you. 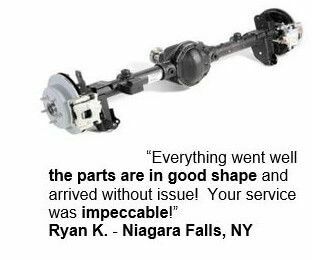 To view these along with your current list of parts, simply click on the "View Now" button and these used car parts will be added to your list. To contact the yard, simply click on the "Contact" button. A box will pop-up. In the first field enter your email address and then in the next field, enter your message. When you are ready to send, click on the "Send Message!" button. PartsHotlines will deliver your message instantly to the desk top of the salvage yard. There's no delay waiting for him to check his email. To insure you get the best price for your used car part or used truck part, when calling the salvage yard be sure and mention you found their auto parts on PartsHotlines!!!! When you're ready to search for another car part or truck part, just click on the "New Search" button at the top of the page. You'll be returned to the main Search screen and you can begin a new search. Looking for used motorcycle parts or used ATV parts or used snowmobile parts? No problem! PartsHotlines' network of over 150 of the top motorcycle salvage yards can help you find just the part you're looking for. They carry a wide range of used parts for all your recreational needs. Just click on the link to MrCycleParts, our used motorcycle parts site.